Now that the office is painted, it’s time to start working on the guest room across the hall. That way we can move all the guest room furniture into the office to paint the guest room floor. Do other people have rooms that look like this? And I mean, normal, not insane people who aren’t hoarders? Do you see my desk hanging out there in the back? Wait, don’t even look at this picture too closely. Let me just tell you it’s not exactly a space that encourages productivity and a clear mind. UGH. This is what happens in a house that is a permanent construction zone. This picture was taken when it was at its worst following our big kitchen/bathrooms remodel. (It wasn’t always THIS bad, I swear!) 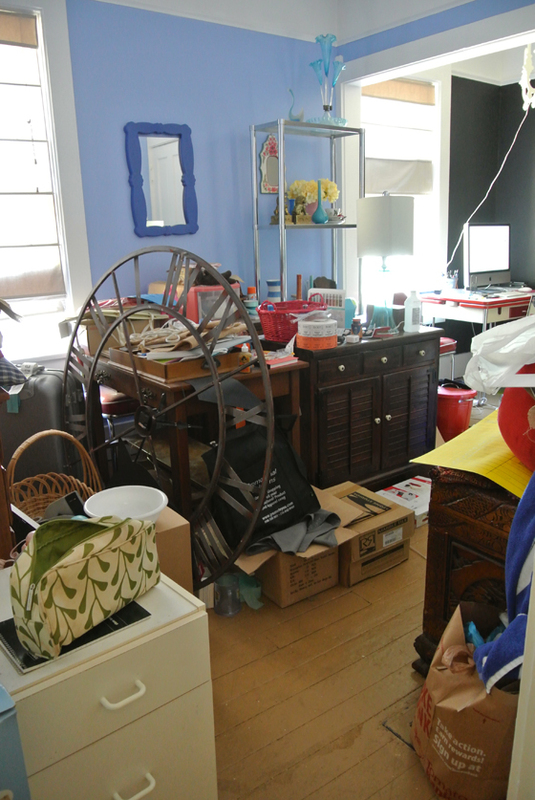 But when you’re working on a room, things just have to go somewhere, and this is usually where they went. Since then, we’ve sold a bunch of furniture on Craigslist, donated a ton of stuff, and moved the rest back to where it actually belongs. Currently the room is completely empty as we prepare to start refinishing/repainting the floors. It’s so nice. 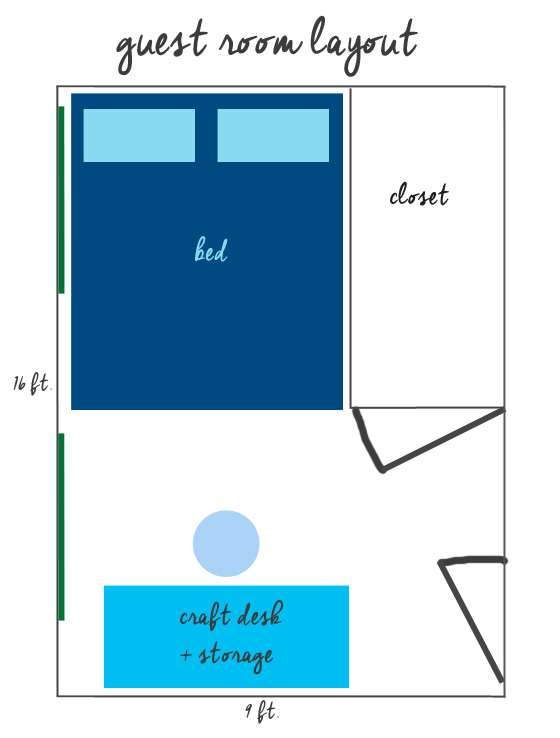 This time we’re starting from scratch to actually design both the new office and new guest room with intention instead of slapping random things together like we had in the past. If we take the time to make a design plan for the room, put thought and attention into every piece of furniture/decor that we choose, we’re way more likely to keep it up in the future, to be proud of the room instead of constantly embarrassed, and aren’t going to think of it as a junk room anymore. And what about the fun stuff, like what color it’s going to be?? Stay tuned for the guest room moodboard reveal next week!! PS. Don’t forget to enter our giveaway to win a $50 Target giftcard and help us name our new puppy! You have one more week to enter! We’re LOVING the name suggestions you guys have been giving us! Hi, From the Blue House!